Room in the Inn (Campus for Human Development) – providing programs and services to those most in need in Middle Tennessee. An interfaith organization rooted in communities of faith. In assessing the needs of the homeless, RITI offers a unique vision that is different from government and for-profit corporations. The agency’s work is not a quick fix, nor is it without its challenges. Each time the life of one in need is touched, God’s plan and God’s message of hope are revealed. 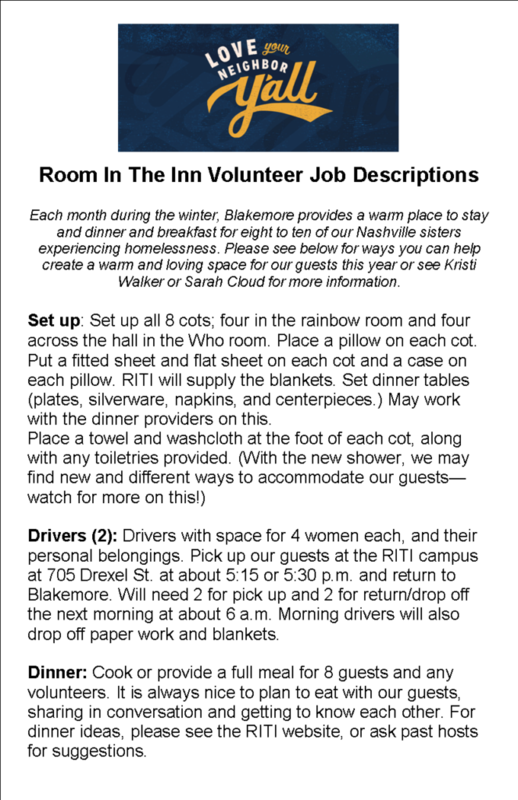 For the last couple of years Blakemore UMC has acted as a host church for Room in the Inn. That means we provide a warm place to stay and dinner and breakfast for eight to ten of our Nashville sisters experiencing homelessness. This winter is predicted to be a harsh one and ministries like this can be the difference between life and death for our neighbors experiencing homelessness. 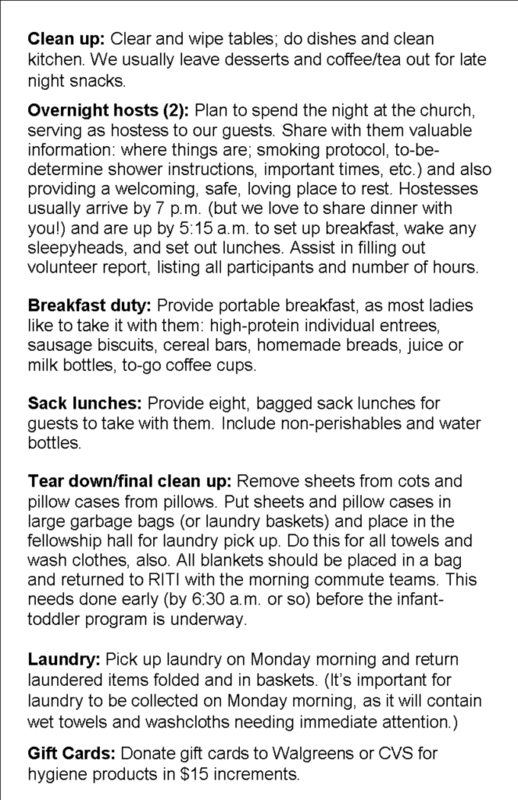 See below for a list of volunteer opportunities related to this ministry. If you have any questions please feel free to contact the church office at (615) 297-6519.